If you haven’t started planning yet, now’s the time. 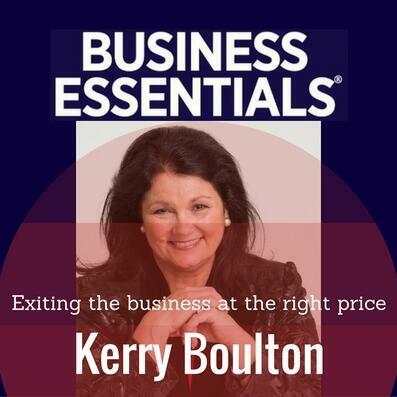 That’s according to Kerry Boulton, CEO of The Exit Strategy, and author of ‘Million Dollar Pay Day – How To Get Rich And Get Out…Creating The Perfect Exit Strategy and Life After Business’. Kerry has walked the walk when it comes to selling a business – she sold Freight Management International 20 years ago – and she has valuable lessons from that experience.